Over the years we’ve always wanted to do business with Opus so when they approached us about VÉLO, we were delighted to have finally found the opportunity to work together. The land was very polluted and had a lot of hazardous waste. The process to get funding for it, mediate that and remove it was complicated and new to me. Opus was equipped to handle it and take care of it for us without any worries. That’s what I was most impressed with. Opus’ team of experienced professionals made the whole process much smoother from beginning to end. Fewer headaches and fewer worries. Opus was very professional in presenting obstacles and solutions to us. Every project has obstacles and when there were issues they responded quickly and were efficient. From our point of view they handled the challenges very smoothly. Having everyone in the room, including the architect, engineer and design team was a really nice experience. It was easier to get things done and make decisions. In going through the initial layout of the apartment units it was nice to be able to change certain walls or mechanical units or design aspects and to have all of the teams there to provide input, answer questions and make the changes that we were looking for. I would absolutely work with Opus again. In fact I’m already trying to find another project where we can work together. Opus’ design-build approach and how they bring all their teams together sets them apart, but also their high level of professionalism, knowledge and experience. We had a lot of say in the design and construction of the project – from the window selection to the types of materials used in construction. That was the beauty of it. 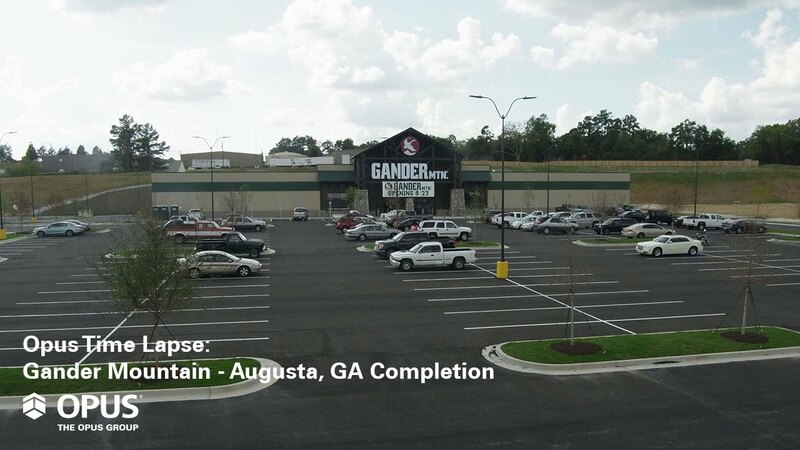 The project enhances our business by adding another project to our portfolio of more than 1,700 apartment units, but also through more exposure to our business. Working with Opus was fun and professional. Some days were long, some meetings were long, but they made it enjoyable, fun and interesting and at the same time they were professional about it. I genuinely felt that Opus was equally as invested in the success of the project as we were. 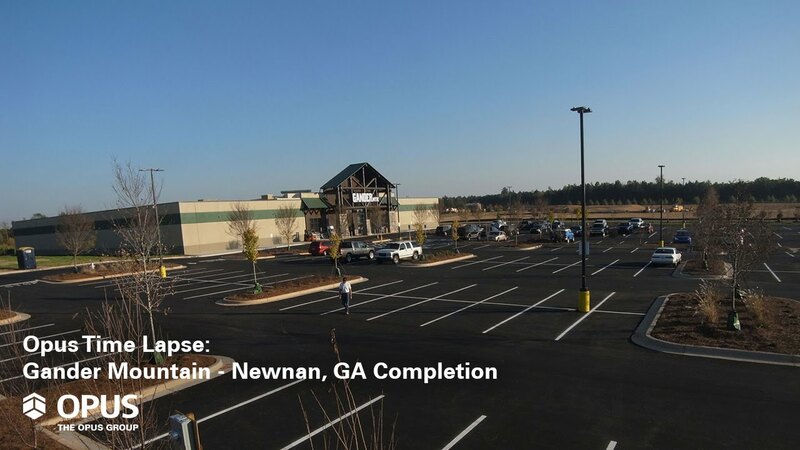 Opus has been a great partner in our drive to bring a fresh and exciting retail experience to countless outdoors enthusiasts in our markets across the country. I never had a doubt that Opus would present a high-quality product. It’s in their DNA to be goal-oriented and committed to customer service, offering solutions rather than problems – something that is very refreshing in the construction industry. Opus’ high regards to professionalism, courtesy and customer service resulted in a great experience. We hope to continue to enjoy an ongoing relationship with Opus. Opus easily stepped up to the plate, presenting a consistent flow of open, clear and concise communications that helped us meet an aggressive schedule for completing the project. 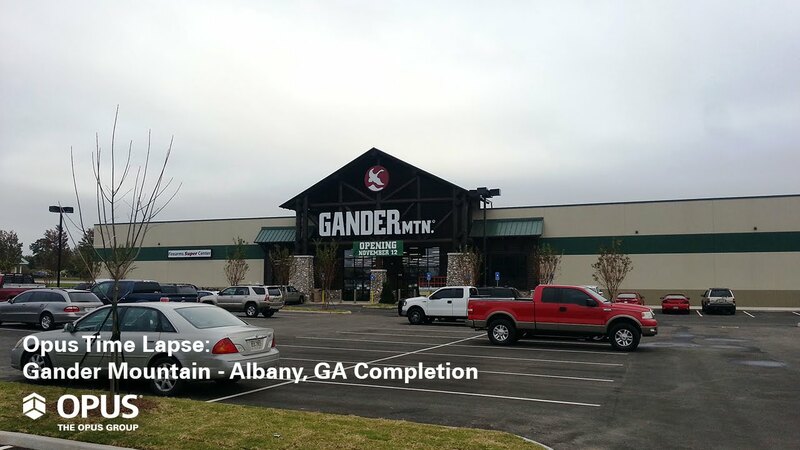 Gander Mountain's new stores in Alabama, Illinois and Georgia use a smaller, more open concept, allowing customers to easily locate products and navigate the large outdoor goods. 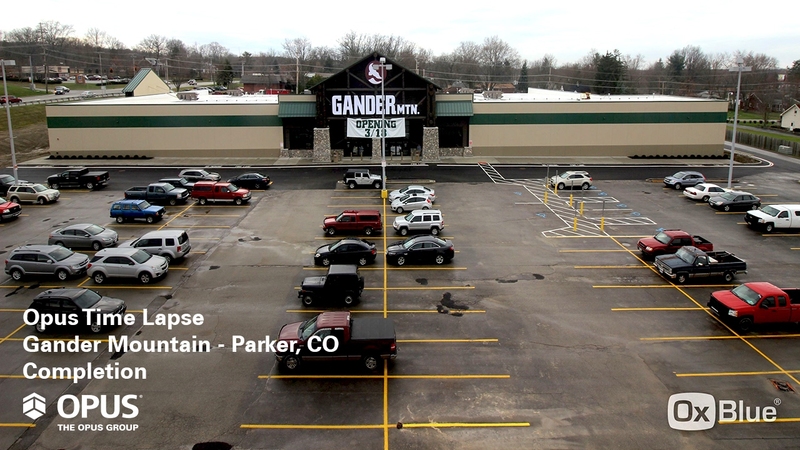 Each store also includes storage and office space for the operations team. Creating a variety of retail spaces from neighborhood, grocery-anchored centers to fashion-oriented lifestyle centers and mixed-use developments, our professionals have extensive retail sector experience. 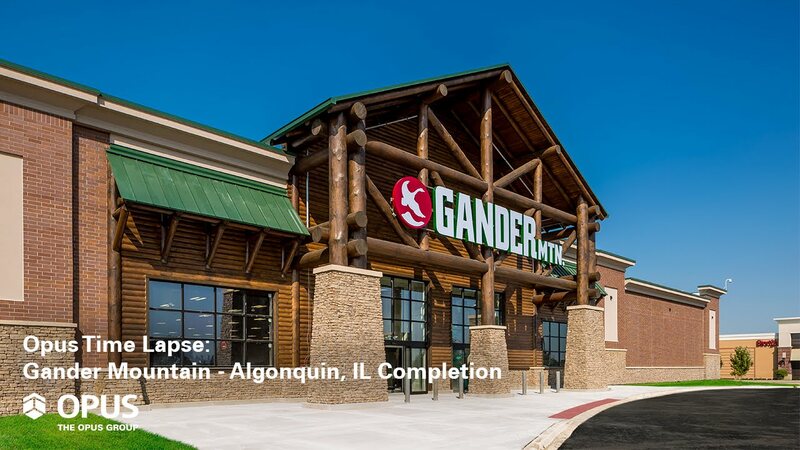 From working with city officials to enhance shopping experiences in communities across the country to constructing stand-alone stores for national, regional and local retailers, our retail portfolio is vast.